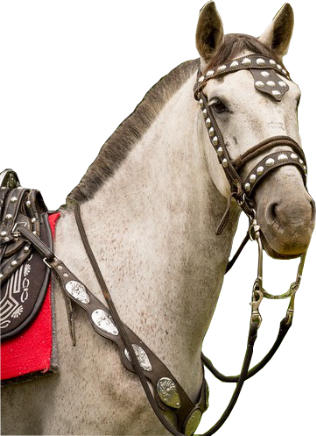 We ride into the Cerro Nara mountains through lush tropical rainforest with its splendid vistas and then we arrive at our incredible waterfall, which is located on our private property. Here we relax at our comfortable rancho which also has a sanitary restroom/changing room, enjoy swimming, taking photos and discovering the beauties of nature. 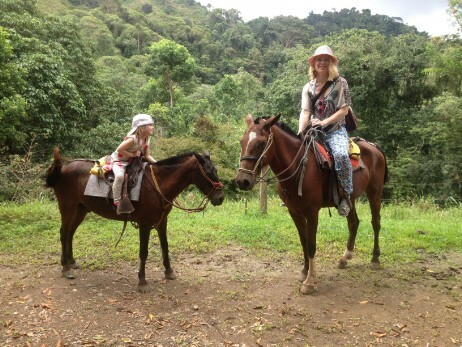 General time frame: 3 hour horseback ride as well as recreation time at the waterfall. 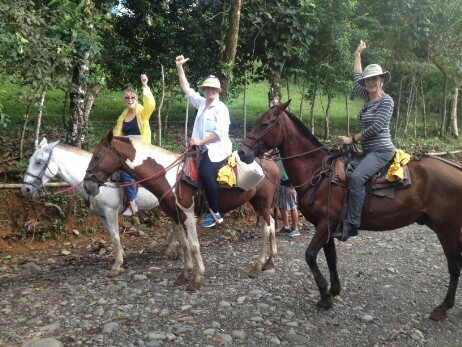 Pick up time at your hotel in Manuel Antonio area by 7:50 am, you will get back around 2:00 pm. This awesome tour takes you through protected rainforest to a secluded waterfall just few miles from our ranch, it will take us 1 hour to get to it to enjoy a refreshing swimming pool at its base. It is ideal for those who prefer less riding time with a visit to a small waterfall. Safary truck (4x4) to Los Campesinos Reserve. We visit a suspension bridge, contemplates the treetops from above with great photo opportunities. We will enjoy a small secluded natural swimming pool in the mountains and of course we will visit the 300feet waterfall in Quebrada Arroyo, located in our private property. it will take us about one hour each way on our vehicle. 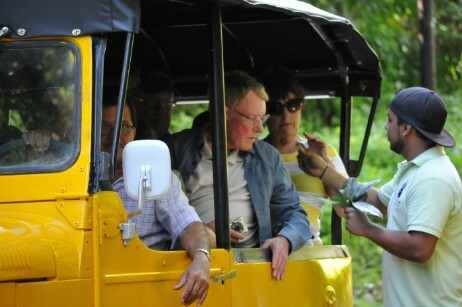 Pick up time at your hotel in Manuel Antonio area by 7:50 am, you will get back around 2:00 p.m.